Hanukkah celebrates the rededication of the Temple after the Maccabees defeat of the Greek army. After they cleaned up the mess, tossed out the idols, they found one cask of oil, enough for one day but it would take many more days to make more oil. They went ahead and lit the Menorah with the single cask and miraculously the Menorah was still burning the next day and would burn such for 8 days. It was enough time to gather and bless more oil. The story is about faith - lighting the candle not knowing if they could keep it lit, and it is about trust - somehow knowing that things would work out. As I think about this story, I think about a triumphant, tired, mourning people, because even when there is "victory" in war there is also loss, bloodshed, injury and death. It must have been hard to realize that there was only one day of oil. They lit the candle anyway. They would have left expecting to come back to the light out and days before more would be available. 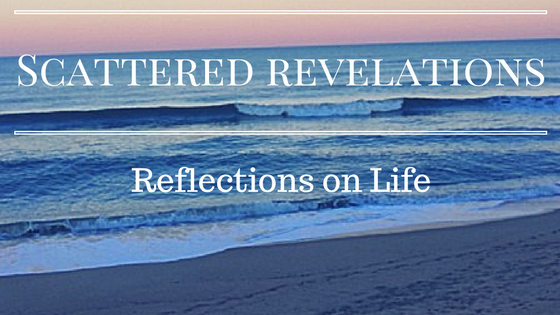 This is not the first story of the Israelites endurance and waiting in the dark. There was slavery in Egypt and exile in Babylon; thousands of years of religiously encouraged persecution by Christians of all kinds; and the Holocaust, an attempt to wipe all Jews and Judaism away. The Hanukkah story is a story of endurance and the Jewish people are all too familiar with endurance. 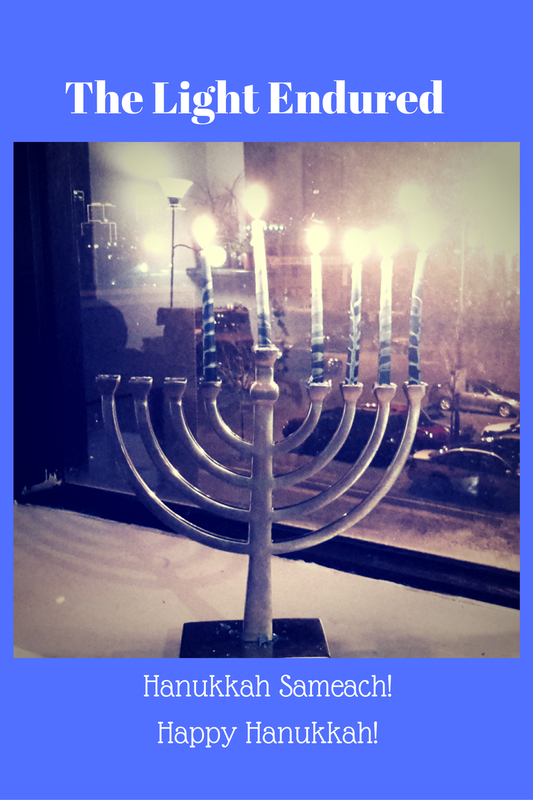 Each night the Israelites expected the Menorah lights to be out and yet they were still lit the next day. I imagine that each day there was deep gratitude that the oil lasted and the Menorah stayed lit. Did they breathe a little easier? Were they in wonder about how it could happen? Did they then become anxious about what to do if the light went out? What would happen then? This feeling is familiar to so many of us. A parent worried about a sick child or a child about an ill parent; those with depression, anxiety, chronic pain, invisible illness; the people in Aleppo, Yemen, and too many other places to list, who live not knowing when the next bomb will fall, when and where the next drone strike will happen. What will happen to me, to my family, to those I love? Can I hold on until there is more? More questions than answers - how long, why, must I? Questions asked into the darkness and answered with silence. 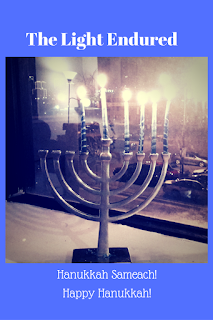 Hanukkah reminds us that yes endurance is possible. It is possible that there is more in the jar than we know, there is more strength than we knew we had. Lighting the candles, singing the blessings, knowing that you do so with Jews around the world, and as Jews have done for generations, as we remember together that the oil and light endured. The lights reminds all us to hold on to hope, to endure, to remember. I believe that individually and collectively we need this reminder more than ever. For those of us who live here in the United States, many of us are fearful of what a Trump presidency means for us, for immigrants, Muslims, people of color, women, and LGBTQ people to name just a few. Hate is already rising, been given permission to run amok. Maybe what we need most is to stop worrying about whether or not we will have strength, light, love tomorrow and just sit with the knowledge that we made it through today. We had enough for today and that will have to be good enough. Tomorrow we may have more, we may have less, we may even have nothing, we don't know, no one knows. So the Hanukkah lights remind us to take one day at a time, to add one candle each night, to see how many days we have already made it, and to keep hope and faith that somehow a way will be found for tomorrow.